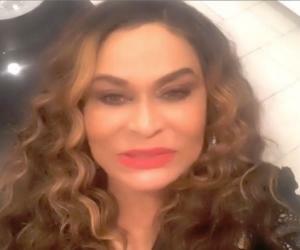 Tina Knowles is a fashion designer and entrepreneur from America. Check out this biography to know about her birthday, childhood, family life, achievements and fun facts about her. siblings: Lumis Joseph, Melvin Marsh Jr.
Célestine Ann Beyincé, better known by the pseudonym Tina Knowles, is a fashion designer and entrepreneur from America. She is the founder of her self-titled fashion brand as well as the co-founder of House of Deréon with her daughter, Beyoncé. A Texas native, Knowles moved to California when she was 19 years old and began working as a make-up artist. However, she had to return when her parents became sick. She was subsequently employed as a dance choreographer for UAB in Birmingham, Alabama, and later became a beautician. In 1990, she established the salon Headliners in Houston and gradually made it one of the most popular hair businesses in the city. As the costume designer for Destiny’s Child, Knowles garnered widespread recognition. In 2002, her book ‘Destiny's Style: Bootylicious Fashion, Beauty and Lifestyle Secrets From Destiny's Child’ was published. Two years later, House of Deréon was established. After leaving high school, Tina Knowles eventually decided to move to California in order to pursue a career as a make-up artist. However, she had to come back to Texas not long after that. Her parents had become ill and she had to take care of them. For a while, she was a dance choreographer for UAB in Birmingham, Alabama and later accepted a job as a beautician. In 1990, she established her salon, Headliners, in Houston. Over the course of the following two decades, she made it one of the most popular hair businesses in the city. Tina garnered international prominence following the success of her daughter Beyoncé’s musical group, Destiny’s Child. In the initial days of her daughter’s career, when the group had not yet become financially successful, she served as their costume designer. All three members of Destiny’s Child, Beyoncé, Kelly Rowland, and Michelle Williams, wore the dresses Knowles made for them to their performances and to events. In 2002, she put out the book, ‘Destiny's Style: Bootylicious Fashion, Beauty and Lifestyle Secrets From Destiny's Child’. Co-written by Zoe Alexander and published through HarperCollins, the book is a detailed analysis of the effect Destiny's Child had on fashion. In 2004, she and Beyoncé founded the clothing line House of Deréon, naming it after her mother’s maiden name. She made an appearance in a May 2014 episode of ‘The View’ alongside her oldest daughter to speak about her clothing line, called ‘Miss Tina by Tina Knowles.’ In the early days of the company, their dresses were only sold through the Home Shopping Network. In 2009, she signed a distribution deal with Walmart. In early 2010, she and Beyoncé launched the Beyoncé Cosmetology Center at the Phoenix House in Brooklyn. 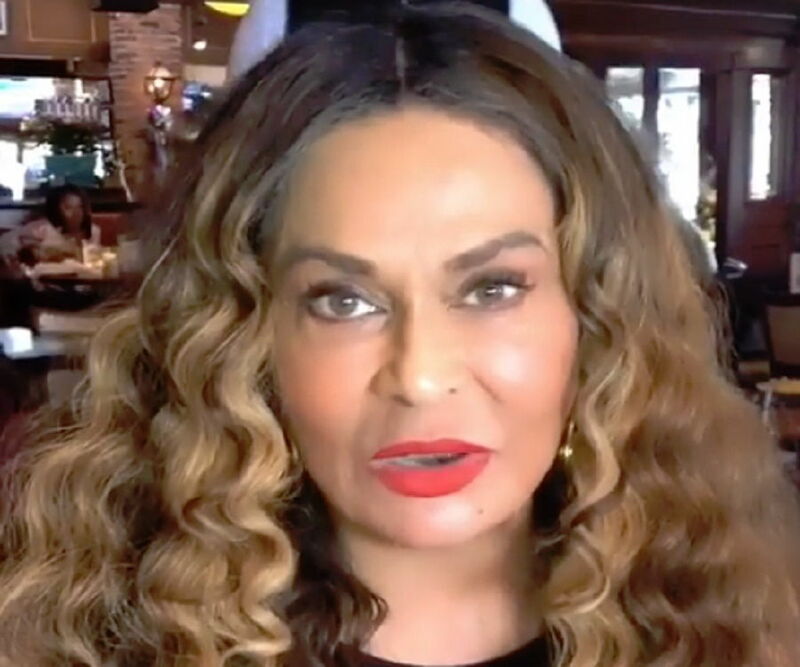 Born on January 4, 1954, in Galveston, Texas, USA, Tina Knowles is the youngest of the seven children of Agnéz Deréon and Lumis Albert Beyincé. She, along with her four brothers, Melvin Marsh Jr., Lumis Joseph, Ronald, and Larry, and two sisters, Selena and Florence, grew up in a family that has descended from Acadian leader Joseph Broussard. The family traces its roots back to Iberia Parish, Louisiana, and her ancestors were Creoles of color from Louisiana. It seems that Beyoncé and her sister, Solange, have inherited their affinity for music from their mother. As a high school student, Knowles was a member of a singing group called the Veltones. Inspired by the Motown group the Supremes, the Veltones performed R&B, soul, rock, and pop music. Tina has been married twice. Her first husband, Matthew Knowles, is a record executive, talent manager, and entrepreneur. They exchanged wedding vows on January 5, 1980, in Galveston, Texas. Their oldest daughter, Beyoncé Giselle Knowles, was born on September 4, 1981, in Houston, Texas. Tina gave birth to their second daughter, Solange Knowles, on June 24, 1986, in Houston, Texas. Tina began the divorce proceeding in 2009, citing "discord or conflict of personalities" which hindered them from "reasonable expectation of reconciliation" as the reason. In December 2011, the divorce was finalized. In the summer of 2013, Knowles began a relationship with actor Richard Lawson. The couple tied the knot on April 12, 2015. Through Lawson, she is the stepmother of actress Bianca Lawson. Knowles is the mother-in-law of Shawn Corey Carter (through Beyoncé), better known as Jay-Z, and Alex Ferguson (through Solange). The former is widely regarded as one of the greatest rappers of all time while the latter is a music video director. She is also the former mother-in-law of Daniel Smith, who was Solange’s first husband. She has four grandchildren, three through Beyoncé and Jay-Z, Blue Ivy Carter (born January 7, 2012) and twins Rumi and Sir Carter (born June 13, 2017), and one through Solange and Smith, Daniel Julez J. Smith, Jr. (born October 18, 2004).